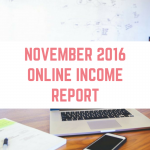 Here we are again at my favourite time of the month – it is time for the September 2016 online income report. 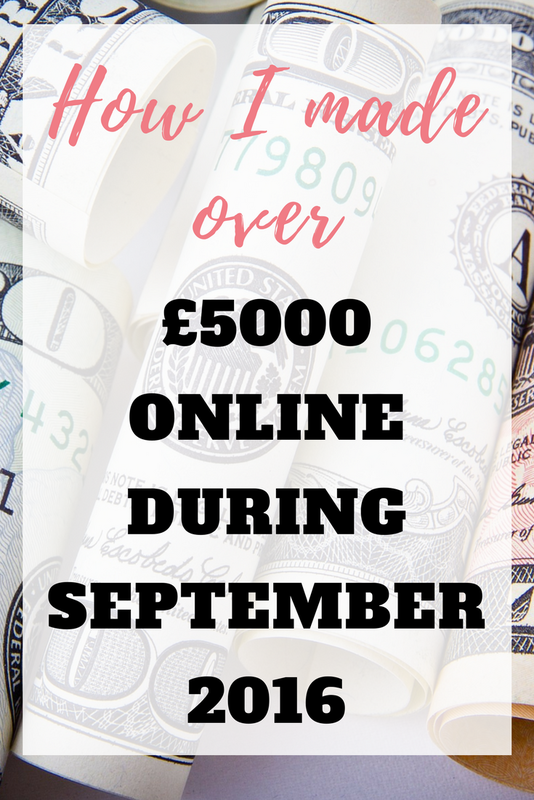 Sitting down to write these reports is always my favourite part of the month, so keep reading to discover exactly how I made money online and with side hustling throughout September. Wow, September has been such an expensive month. Both in my personal life and my blog. Our weekend in London for the SHOMOs cost us close to £400 although I did come home with the awards for Best Money Making Blog alongside Best Frugal and Thrift Blog, not to mention runner up to Money Blogger of the Year. FinCon, a fantastic financial bloggers conference in America also released their early bird ticket prices and I have had lots of blog related expenses throughout September. Thankfully a lot of them are one-offs because it has been crazy! We have also been busy preparing for our upcoming house move, and let me tell you that it has been crazy! We viewed a house and agreed to move in all within 24 hours of the advert going online, and then everything started to go crazy. We have been packing, showing potential new tenants around our existing house and generally being very busy. This has meant that I have hardly had much time to dedicate to working, so I am extremely grateful for a passive income. I wasn't sure how September's income report would look, especially after hitting over £6,000 in August. 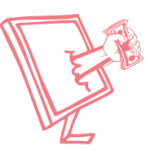 Like a lot of people I initially had doubts about earning money online . Four months ago I started cautiously on Swagbucks earning a few pounds every week . I then followed the aspiring Emma of From Aldi to Harrods who has literally changed my life . 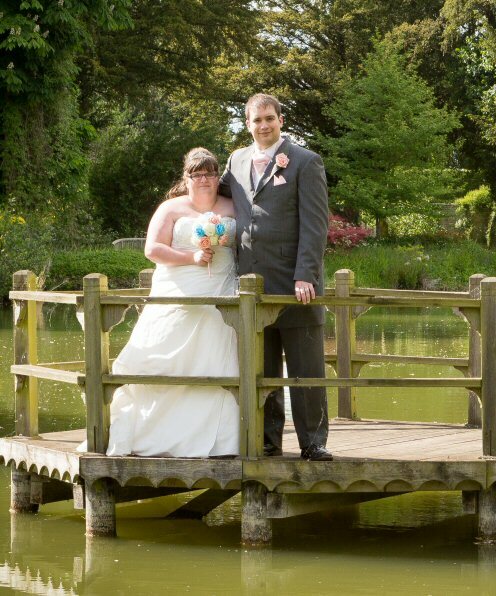 With her guidance and support I now earn enough to give up my stressful full time job and work from home . I have learnt and continue to learn from both her and the members of her groups. I'm in the process of setting up and writing my own blog too which will be going live in September. Without Emma’s expert advice I would still be working seven days a week and my family time would be non existent. I really can not thank her enough. Let's get into the numbers then! Publishing our income holds us accountable to you, my readers. We want to achieve, we want to earn and quite frankly, we want you to congratulate us! We are able to look back at previous months when we need some more motivation or ideas to continue. Most importantly, we want to tell you how you can be making money! You might just want to make enough to cover your holiday spending money or you might want to quit your job all together. Whatever your financial needs are, you can earn extra. For the second month in a row, my affiliate earnings are over £5,000, and quite frankly, I am amazed. In July I was earning under £3,000 from affiliate income. I have put together all of my affiliate marketing secrets into one place for you, in How To SMASH Affiliate Marketing as a UK Blogger. In this video and text course I cover everything from which affiliate programs to join to how to get over that fear of emailing your list. 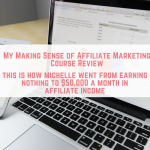 If you are interested in affiliate marketing then be sure to check out my guide to getting started with affiliate marketing. 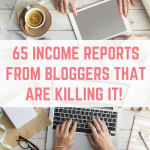 I have had a few questions from people asking me if this course is aimed at new bloggers or established bloggers, and I have to say that it would suit both. I have over 600 blog posts, so it is taking me a long time to go back and edit my older posts in accordance with what I have learned. Whilst it is a big investment, I wish that this course was around when I first started! At least then I would have got started on the right foot. If you are interested in generating your own income from affiliate marketing then be sure to check out my guide to getting started with affiliate marketing which has just been updated. 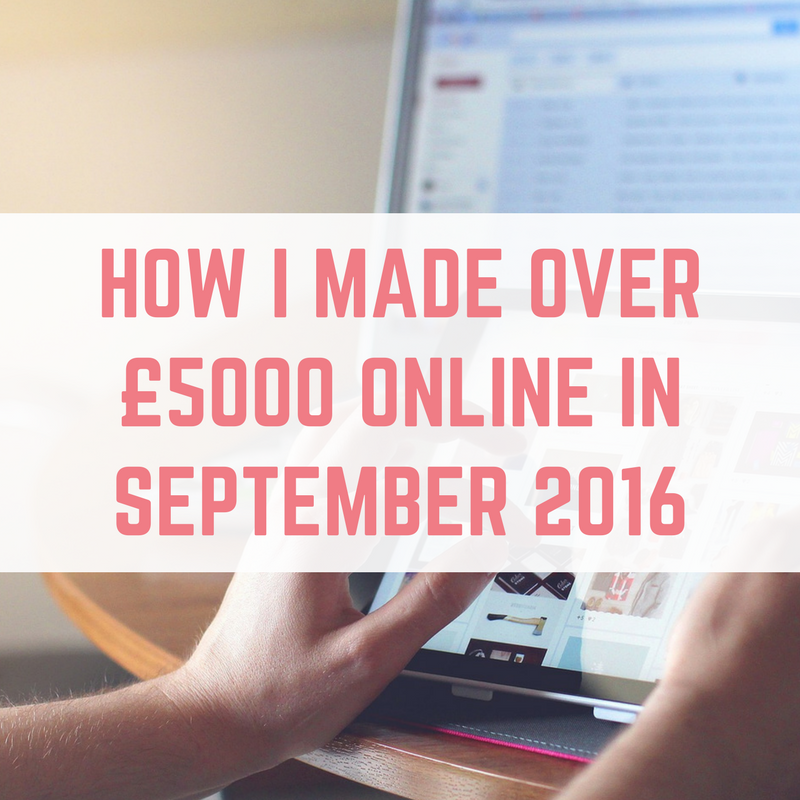 My affiliate income has increased to an amazing number – in October 2015 this amount was just £581.59. If you are interested in making your own website so that you can start making an affiliate income then I have a great video guide to get you started. I want to continue to see my affiliate income reach over £5,000 for October, and go back and update at least 10 old blog posts. 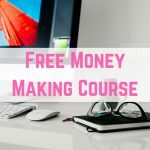 Here are the products, services, courses and books I have used to get my blog to where it is today – earning me £thousands every single month. TSO Host – Website hosting If you are looking to get your website up and running, I recommend using TSO host. Hosting packages start from just £1.25 a month! Click here to visit my tutorial on building a self hosted Wordpress website with TSO Host. Studiopress – Wordpress theme The Genesis framework for Wordpress is fantastic, and I am using the “Brunch Pro” theme to create the website that you see in front of you. Click here to visit Studiopress and browse their available Wordpress themes. Pretty Link – makes affiliate link management a breeze I am now using the pro version of this plugin but the free version takes an affiliate link and makes them pretty. The pro version comes with some added bonuses, but the free lite version is fantastic too. Click here to get Pretty Link. I have been taking matched betting a lot slower recently, but I am still thrilled to see almost £300 tax free and risk free in September. 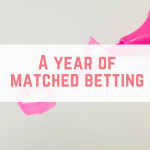 I have managed to make £12,000 in 12 months from matched betting! This money is completely risk free and tax free, so I am happy with it! My earnings truly reflect the time and effort that I put in throughout September, which wasn't much. With the move and other things going on I just haven't had the time to dedicate to it. Matched betting is a risk free, tax free way to earn extra money by utilising the bookmaker's offers. Although the name can sound daunting, despite not being a sports fan I have managed to pick it up after a matched betting free trial. The free trial gives you some fantastic training videos and allows you to make anything from £40-£60 whilst deciding if it is for you. If you are still on the fence about matched betting then why not consider giving matched betting a free trial? You can make anything from £40 – £60 and see if it is for you – you have nothing to lose. There are two approaches to take when it comes to matched betting – you can decide to work through the initial offers, bag yourself anything from £1,000 – £2,000 for a one off (maybe to pay off a credit card or have a holiday), or you can look to have a steady matched betting income every month. As I have mentioned previously, I am now going to be calming down my matched betting efforts whilst I focus on other areas of income. 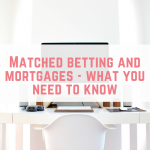 We are starting to get serious about saving towards our financial goals, and getting a mortgage means that it is more important to have a taxable income, which matched betting isn't. It is already hard enough to get a mortgage being self employed, so we are focusing on other earnings that can be shown on tax returns. What a crazy month this has been, and I have been lucky enough to get some great sponsored posts on board, which means that combined with advertising earnings from our other 6 websites, this amount is close to £900. Pretty cool! I would like to be earning a consistent £500 per month here, so let's see what October yields. I love earning gift cards, although I don't always include them on my income reports. In September I redeemed gift cards from Buzzoole, InstaGC and Receipt Hog, which have all been added to my Amazon account for Christmas. This amount is NOT included in my total for the month. My earnings with surveys are down, but I haven't had much time for them in September. Between packing up the house and taking on more sponsored posts, I just haven't had time and this is reflected in my earnings. I really enjoy the surveys on Prolific Academic and MintVine, so I keep doing those whilst watching tv and I have also started completing more surveys for OnePoll. I view surveys as a way to unwind and get away from anything too heavy for a few minutes and the income is now just an added bonus. There haven't been any exciting ways of earning money in September, unlike August where I received a big payout from 20Cogs. I also didn't sell as much on eBay throughout September, only relisting items that hadn't sold in August. I didn't do a single mystery shop either. I relied heavily on passive income throughout September because I didn't have much time. Remember that this amount doesn't include tax, national insurance contributions, holiday pay and sick pay – for which we are putting aside 20-30% of our monthly income (excluding matched betting earnings as they are tax free). Switching to Convert Kit for my mailing list, which also jumped price brackets in September. Paypal fees (when I have received payment). eBay fees – these were extremely high due to a few good sales. Board Booster – I have been using the free Board Booster program for a few months now to help me manage my Pinterest account, but I have now upgraded to a paid account which has really helped to increase my Pinterest referral traffic. Staffing costs including my virtual assistant. Postage for competition prizes and eBay sales. A weekend in London for the SHOMOs. These expenses will go down in October. Wombling – a great way to save money or a trend that has gone one step too far? For the second month I have managed to earn over £5,000! This was my ultimate goal for December 2016, and with all the crazy expenses in September I was not expecting to hit the magic number for the second month in a row. It is truly humbling and I am so excited! I am much happier and I have a lifestyle that I enjoy a lot more. I love helping others to earn extra money too, and seeing this happen in front of my eyes is absolutely wonderful! It is my long term strategy to keep growing my passive income – this is money I earn whilst I am sleeping or otherwise not actively working. My passive income comes from my book sales, affiliate marketing and my rental property. Taking the time to grow our passive income in the winter months means that I am really looking forward to having more time off in summer – time to go to the beach, go on day trips and just enjoy being outside. As a result of my passive income increasing I have started to introduce more posts about passive income and how you can grow your own. For the moment I want to just continue on this path. I would love to keep my earnings over £5,000 per month for the rest of 2016 and keep working through the courses I have bought and implementing those changes, whilst also enjoying the work/life balance that I have going on. My goal was always to bring in more income – by December 2016 I want to be making £5,000 a month, which I have broken down in to monthly targets. Trying to find an extra £250 a month is a much easier challenge than trying to make £5,000 in a month from where I currently am! As a reminder, here were my financial goals for the rest of 2016. Do you like this income report? Would you like to see more of them in the future? Let us know your thoughts in the comments – we would love to hear from you. Can you add me to your facebook group please.